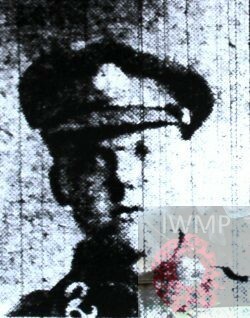 Died: 21st May 1918; age 18; KiA in the field. Served 7 months. Residence: 7, Plough Street, Ipswich. Enlistment Details: Location: Bury St. Edmunds, Suffolk; Date: 3rd September 1917; Occupation: Moulder -Ransomes, Sims & Jefferies, Orwell Works; Age: 18 years & 2 months; Religion: CofE. Height: 5ft 3 3/4ins. Regiment: East Surrey Regiment, 1st Battalion. Relative Notified & Address: Nephew of Mrs S.C. Spall, of 7, Plough Street, Ipswich. 1901 3, Myrtle Yard, Fore Hamlet, Ipswich. Joseph was a year old and living with his mother at the home of his maternal grandparents & uncle. William Spall, 60, a Labourer – Ship Yard, born Hollesley, Suffolk. Ellen Spall (nee Cooper), 54, born Hollesley. Stanley George Spall, 14, born Ipswich. Alice Jane Spall, 20, a Trimmer – Stay – Corsets, born Ipswich. 1911 7, Plough Street, Ipswich. Joseph was 11 years old and was living with his foster parents (his maternal uncle & aunt). William James Spall, 35, a General Labourer – Gas House – Ipswich Gas Works, born Hollesley. Sarah Caroline Spall (nee Starsmore), 32, born Ipswich. Joseph became the foster child of William & Sarah from a baby. In August 1915, Joseph’s birth mother Alice Jane Spall married James Burton. They raised their family at 70, Albion Street, Ipswich. On the 10th September 1921, Mrs S.C. Spall signed to receive Joseph’s Victory & British War medals. Joseph is also remembered on the Ransomes, Sims & Jefferies, Orwell Works, war memorial. Now sited at The Museum of East Anglian Life, Stowmarket, Suffolk. Holy Trinity church Ipswich.